Hatha Yoga is a centuries-old philosophy and physical practice from India that can promote physical, mental, and emotional health and well-being. 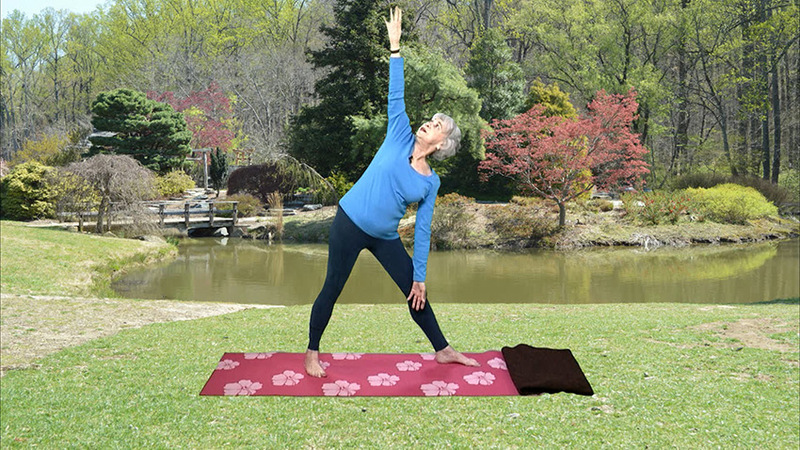 Each Cherryblossom Yoga class includes warmups, postures, stretches and coordinated breathing to help release physical tension and mental fatigue, restore energy, achieve greater focus, reduce tension, and integrate one’s energies. Classes close with a period for rest, relaxation and meditation. Regular practice of Hatha Yoga can heighten body awareness, promote flexibility and improve posture, circulation, organ function and muscle tone. 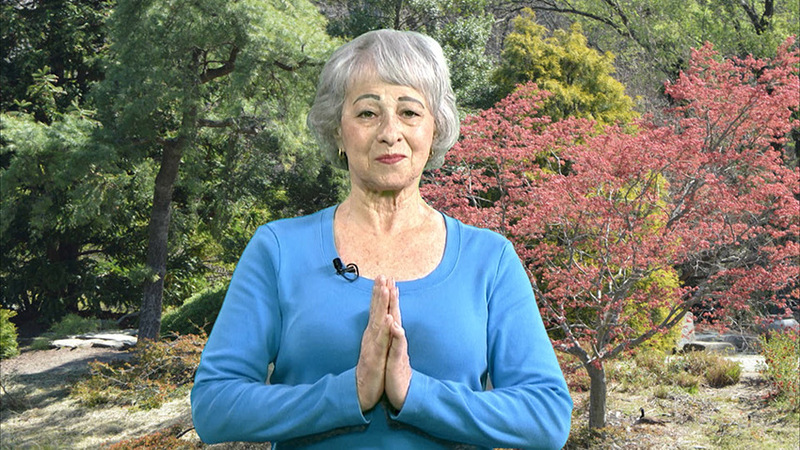 Robin Dinerman has been studying Hatha Yoga for over 40 years, she has done over 100 episodes of Cherryblossom Yoga and has been teaching yoga since 1987. Robin holds certificates in yoga instruction from the Evergreen Yoga Studio in Bethesda, Maryland, Phoenix Rising Yoga Therapy in Massachusetts, Silver Age Yoga in California, Reiki Level from the Imagine Yoga & Wellness Studio in Bowie, Maryland and stress management education from the Biofeedback Institute of Colorado. YOGA has saved my life more than once. Through yoga, I find my center, restore my balance, and heal my body, mind, and spirit. Teaching a yoga class, or giving a private yoga therapy session, is an opportunity for me to show my gratitude for all I have received. By giving to you, I feel reconnected with the universal energy that unites us all. As I talk about feeling the earth through your feet and the heavens through the crown of your head, and lead you through the class, I hope I give you tools to learn how your body affects your mind and your mind affects your body. Namaste – the light in me honors the light in thee. Robin teaches at the Friendship Heights Village Center and the Knollwood Military Retirement Community. She also has private students which give her opportunities to customize the class for the student’s needs. She is a substitute yoga teacher for the American Red Cross at the Walter Reed Military Medical Center. Robin is particularly sensitive to assisting those who are suffering from depression, as well as addressing issues particular to seniors.